Design has elevated its standard. With improved software and technologies, it is possible to execute any concept ever imagined. On that note, there is also a wide range of amazing content you may stumble upon on the internet, whether they be videos and images. There is also an array of websites that you can find creative inspiration from. If you are on a hunt on exceptional website designs, you might want to check out our collection of website and design portfolios. These website designs range from interactive features, smooth UI/UX experience, authenticity and added personality. You may also go through our list of impressive LGBTQ websites that greatly incorporates website techniques and skills, as well as the core within the community. We promise you, these lists will inspire your creative eye. A website design could not be started without a strong sense of a brand. The latter will represent the brand across all branding collateral, and imprint itself in the minds of prospects and potential target audience. In this case, the list gathered personal and collective websites which has infused their brand’s personality, as well as their core, which paves the way to an amazing user-experience in their websites. 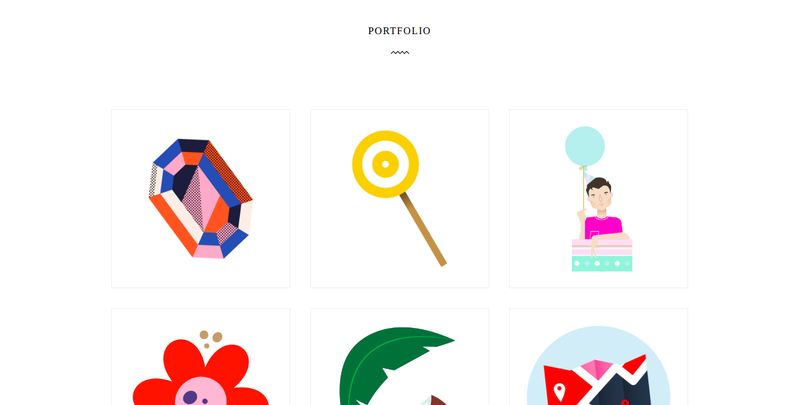 Without further ado, here are twelve best and exceptional website design portfolios for your creative consumption. Small Studio Website is a branding agency in Australia. Once you visit the Small Studio website, the landing page greets you with a floating balloon that is waiting to be cut by visitors. What proceeds, is an interactive questionnaire about branding. Take a little trip through a drone perspective featuring natural elements. Vgrafiks is a quirky branding agency that is based in the Philippines. 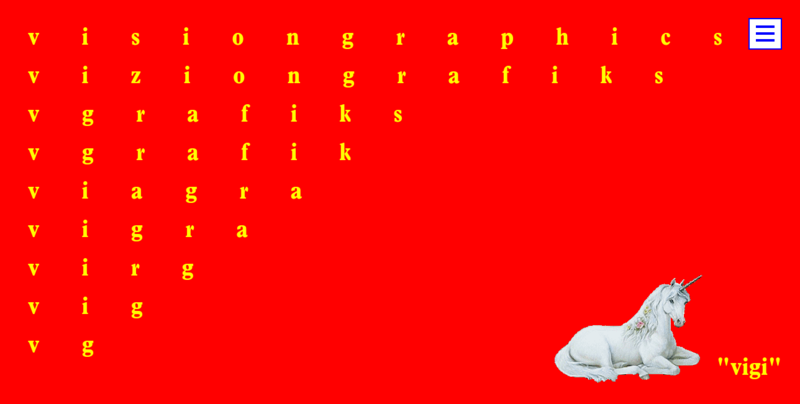 Vgrafiks goes with an unconventional take on their website by incorporating deviant style in graphics, as well as this esoteric sense of humor. Its landing page takes a direct approach in conveying the brand’s message and core. If you go in deeper in their website, you might find yourself to be choosing between two colored pills and clickable directed links to Vgrafik’s clients and works. 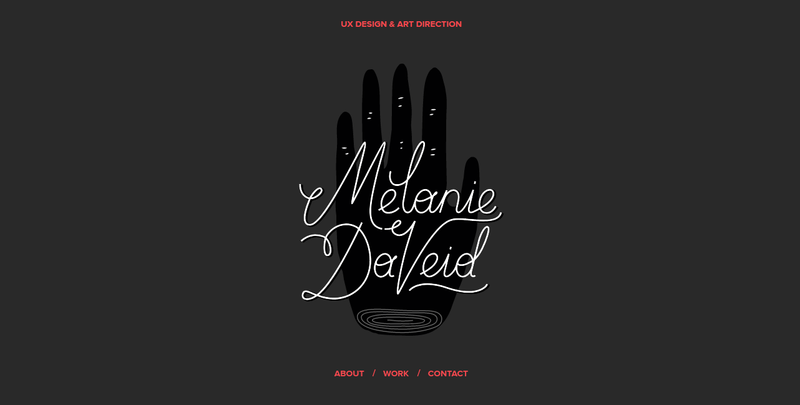 Melanie DaVeid’s website allows you to scroll down to the given categories with ease. The landing page introduces you to the website with delicate typography and organic illustration. The color scheme used for the website design mostly recedes, but the pop of pink adds more emphasis on the content, as well as this nurturing and gentle personality. The simplicity of the user-interface and the direct approach to the navigation links is something to applaud for a brilliant website design. There are interactive features as well to the website, such as hovering towards the content which results in changing backgrounds and so on. You may visit the site and be greeted with organized categories as well as layout. 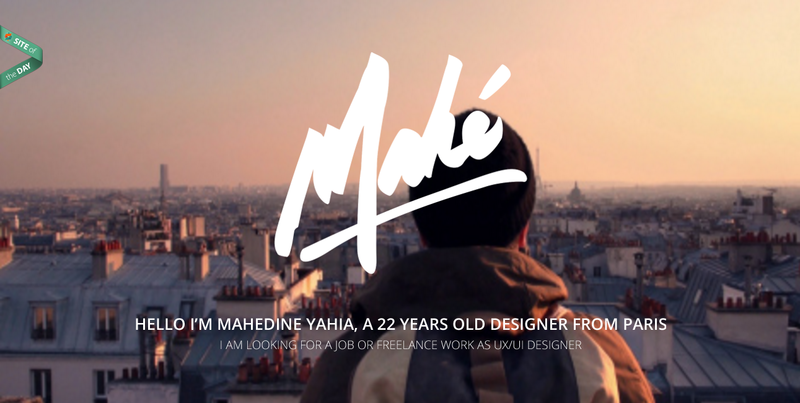 This website has a youthful take on design portfolios as it offers a direct approach in displaying personal and professional projects. 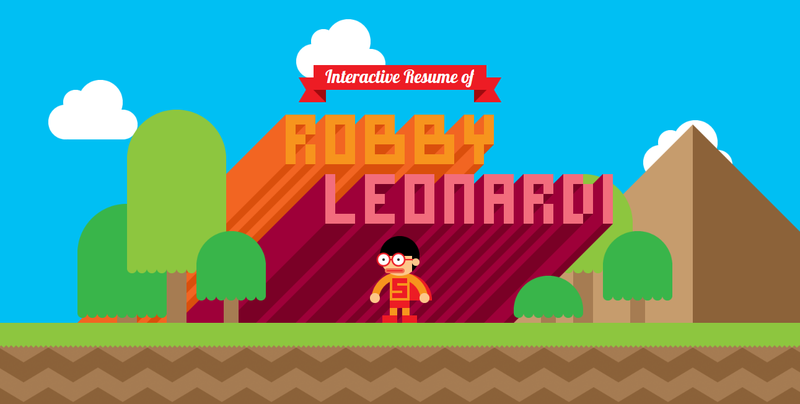 Let this interactive resume of Robby Leonardi take you to places worth having an adventure in, be it on land, water and up on air. While you’re there, you also get to be immersed in the line up of skills and recognition that Mr. Robby Leonardi has mastered and accomplished. This is one great example of interactive digital works to gain inspiration from as well as creative direction. Uber-stylish, interactive, unique are just three words that best describe such design portfolio. Visitors gets to immerse themselves with a one of a kind user-interface, such as changing colors and interactive features, as well as an array of impressive projects. There is no need to adjust your monitor screens once you visit Daniel Spaztek’s website design portfolio. The creative direction is to mix in technological glitches which transition to varying graphics, as well as the unconventional display of content. Reading content while the page is zooming in is one of the greatest user-interface designs found on this portfolio design. 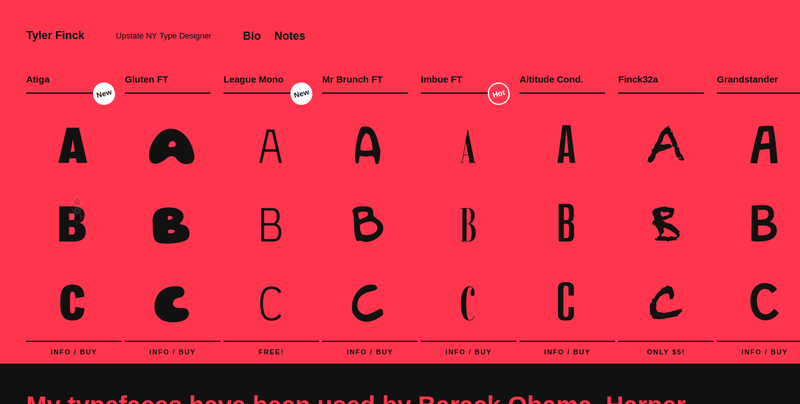 Once you’ve landed on Tyler Finck’s website, you are directed to the various typefaces made personally by Mr. Tyler Finck. The landing page is also interactive so you can scroll up and down on the presented typefaces to show the character set of each of the typefaces. Stereo Creative infuses modernity in its line up of branding projects and so is their website design. On their landing page, you are then whisked away to their latest and impressive projects which are displayed through videos. This gives the visitors a visual picture into what Stereo Creative does and offer. Their website design utilizes bold typography that best represents the brand itself as a modern and stabilized brand, as well as incorporating interactive features for an attention grabbing user-experience. Lounge Lizard is a branding agency that also focuses on websites, mobile applications, and surprisingly, cocktails. The user-interface offers a smooth scroll down to the brand’s latest concoctions such as feature-rich designs. The brand’s website offers a responsive layout and as for the design elements, it uses bold typography as well as bright pops of colors. Eager to look through colorful sets of projects? Well then, Neily Didit’s website design portfolio is one to consider for viewing. It introduces visitors to the colorful work which is heavily showcased across all directed links, as well as the website content and graphics. This website and design portfolio takes you a unique user-interface and a memorable user-experience. At first, the design studies are presented in hand drawn illustrative depictions of interior designs and interior materials. It has an irregular composition of images, but is designed in a way that compels you to view them, despite being used as background images. Artellano – 11’s website layout is fluid and responsive to various website sizes and devices used. Utilizing the digital medium in terms of design portfolio and introducing to your brand on a broader range increases the brand’s reach and frequency. This way ensures exposure and response to the target audience, as well as aspiring graphic designers, multimedia designers. IT related individuals may gain insight on coding techniques and creative inspiration. Before we call it a day, you may look at our list of inspiring sites that demonstrates brilliant types of layout and elements that complement the brand and its core.